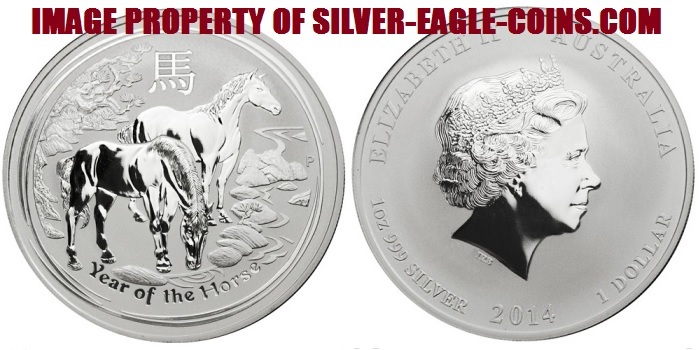 The 2014 "Year of the Horse" Silver Dollar is the seventh coin issued in the popular Australian Silver Lunar Series II. The original twelve Australian Silver Lunar coins (1999-2010) had extremely low mintages (84,000 coins average per year) and are now very valuable and difficult to find. The 2014 "Year of the Horse" Silver Dollar's entire mintage of 300,000 coins SOLD OUT at the Perth Mint on the first day of issue! As such, they are very difficult to find and prices continue to go up on the secondary market. Our supply of coins is extremely limited and may sell out without notice.